My Christmas Calendar of 2017 is coming to an end this year, and I would like to share the last Christmas creation from my kitchen with you in form of the sweet treat. I have been making peppermint fudge using the rest flavour extract from these peppermint sweets. 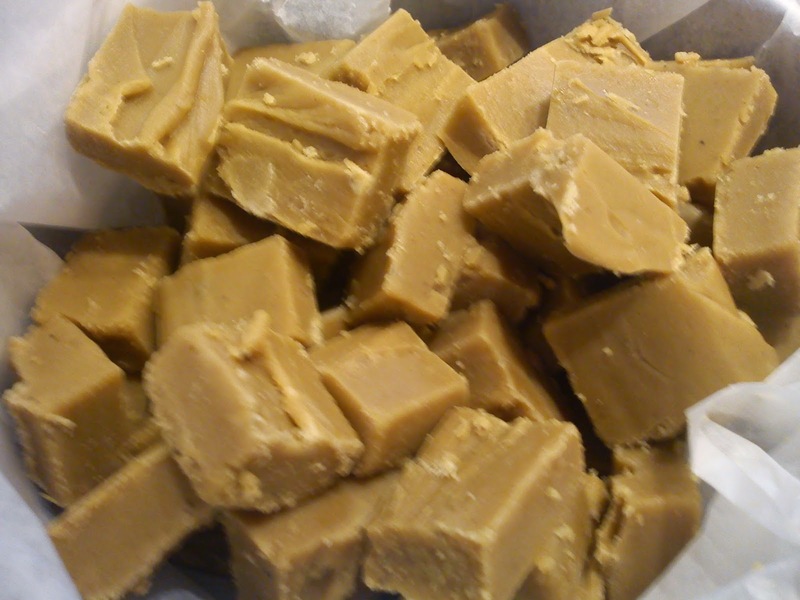 I used the recipe of chai fudge as starting point for the fudge part. Mix the condensed milk, sugar and cream together in a large saucepan. Boil up this mass, while you stir regular. Cook the mass up to 115'C. Pour the fudge mass in a whipping bowl and add in the peppermint extract. Whip the fudge mass on speed 2 for 10 minutes. Cover a baking form with baking paper. Fill the fudge mass into this form. Store the fudge in an airtight container.